School bus operators in Ottawa are facing a shortage of drivers, one they worry will get worse as provincial minimum wage increases, making other jobs more attractive. School bus operators in Ottawa are facing a shortage of drivers, one they worry will get worse when the provincial minimum wage increases, making other jobs more attractive. Students who bus to and from schools from Ottawa's English-language boards do so through one of 13 bus companies, who between them run some 700 routes a day, according to the Ottawa Student Transportation Authority, which oversees transportation for those school boards. But this year there are 37 fewer permanent drivers than there are routes, a shortfall that had led to a reliance on part-time drivers and some double-shifts, according to OSTA's general manager and chief administrative officer, Vicky Kyriaco. The situation is manageable right now, said Kyriaco, but for an industry that values the safety that comes with familiarity — drivers who know the children on their bus and vice versa — it remains a problem. The driver shortage isn't unique to Ottawa. A chronic shortage in Toronto prompted an ombudsman report last year which pointed to systemic, administrative failures. In Hamilton, recruitment and training drivers is an issue. Bus drivers work split shifts and have relatively greater responsibilities for the wages they earn. As a result, the job mostly attracts people easing themselves into or out of the workforce, such as stay-at-home parents and retirees. But changes to the way the province awards contracts to school bus operators a decade ago has accelerated the driver shortage, according to Mark Begg, president of the Ontario School Bus Association and the owner of Delaney Bus Lines, which provides school buses in communities east of Ottawa. 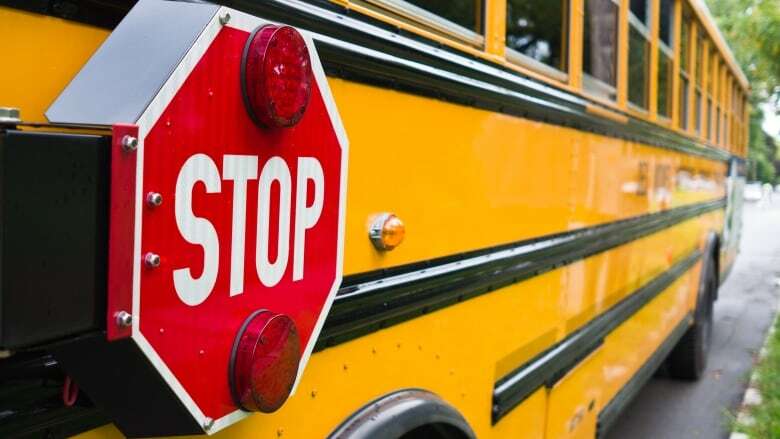 Whereas before school boards could negotiate longer deals directly with school bus operators, the introduction in 2009 of the province's Broader Public Service Procurement Directive forced transportation authorities to open bus contracts up to a competitive bidding process. The change pitted bus operators against other operators and led to the disappearance of many smaller companies who lost on contracts or couldn't afford to bid low enough to justify keeping the company going, said Begg. The contracts have been shorter, too — typically three to five years. "We've gone from a very open-book negotiated process to now a very confrontational and very secretive bidding process where I don't think we have improved anything overall and certainly not the delivery of our service to Ontario schoolchildren," Begg said. The result for drivers: uncertainty. "It creates an environment where it's about providing a service, providing a service for pay," said Kyriaco. "When what is truly important about this role is getting kids to school, being the first person they see, being the safety net for those kids because they know them, they know their families, they know their routes, and that seems to have gone to the wayside in trying to ensure that competitive procurement is in place," she said. Now, the increase of the provincial minimum wage from $11.60 an hour to $14 an hour on Jan. 1, and $15 an hour in 2019, is expected to exacerbate the problem. Ottawa school bus drivers earn on average about $15 an hour. That's more than the minimum wage, and a reflection of the extra responsibility and liability drivers have to take children to and from school safely, said Kyriaco. When the new minimum wage increases happen, it puts operators — most of whom have locked into contracts with the OSTA — in a bind: either take the financial hit and increase the pay of their drivers, or risk losing them to jobs with better hours, less stress and less responsibility. "I figure I'm looking at taking a $300,000 hit just to maintain everybody's wages where they are at today," said Begg, who has about 110 school buses in his fleet. "So that money has to come from somewhere." For the transit authorities, it means they can expect any new contracts to come with a bigger price tag. In a letter to the Ministry of Education, OSTA estimated the extra cost for the boards would be $1.6 million a year. They have asked the ministry to come up with a plan, provide funding to make up the shortfall and work to fix the procurement system "to ensure continuity of service for student transportation." The Ministry of Education, in a statement emailed to CBC, said they are aware of the situation in Ottawa and other regions. "We understand the concern and frustration that parents and students have experienced as a result of ongoing delays," the statement read. "The Minister is monitoring this situation and has spoken with boards and bus operators to set the expectation that they work together to do everything possible to prevent service interruptions — including having contingency plans in place and communicating potential service disruptions to parents."